Kings Pool lies in the game-rich Linyanti and is a favourite haunt for seasoned safari-goers in Botswana. The seven lions translocated by African Parks, in conjunction with the Rwanda Development Board, from South Africa to Akagera National Park arrived safely in the park, late on Tuesday night. They were immediately released into a specially erected 1,000m� boma, the perimeter of which includes a three-metre high, chain-linked electrified fence The two males and five females are being quarantined in the boma for a minimum of 14 days after which they will be released into the wilderness of the park. They are being continually monitored by the Akagera park team. Their arrival has already piqued the interest of Akagera’s other permanent residents. Yesterday, a troop of baboons turned up at the boma, calling alerts from nearby trees and spreading the news of the arrival of the seven magnificent lions into the park. The lions were fitted with satellite collars at the beginning of their long journey, all with two year life spans. 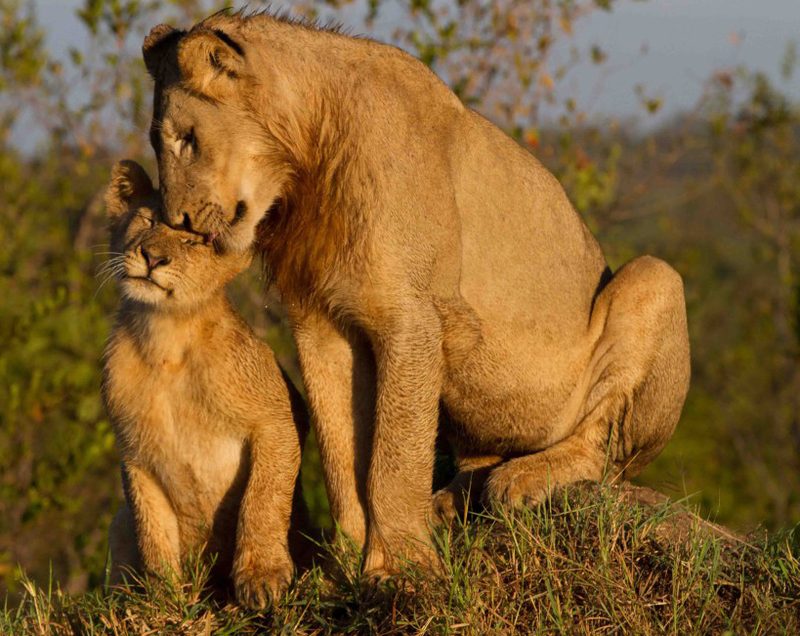 By the end of the two years the Akagera park team will have evaluated the pride dynamics and determined whether it is prudent to re-collar any of the animals. 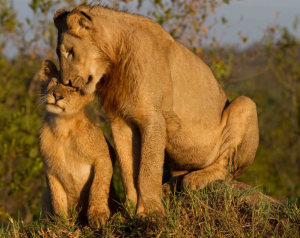 “I would like to congratulate our Government partner, the Rwanda Development Board (RDB), and the management and staff at Akagera National Park on the arrival of their seven lions, said Peter Fearnhead, CEO African Parks. “It is a milestone conservation achievement for both the park and the country and is a positive development that we have all joined in celebrating. It is also an initiative that bodes well for the reintroduction of rhino into Akagera which will establish the park as a Big Five destination with far-reaching, tourism benefits. The development and success of Akagera would not have been possible without the commitment and support of its funders and I would like particularly to thank The Walton Family Foundation and the Wyss Foundation for their significant funding support and commitment to the park”, elaborated Fearnhead.